WHO officials provided an update Friday on the progress of the Ebola epidemic gripping West Africa and outpacing all efforts to control it. The WHO warned that without immediate, concerted action Ebola could become a global pandemic on the scale of HIV, and added that the current response was only half of what it needed to be. “The situation is worse than it was 12 days ago. It’s entrenched in the capitals. 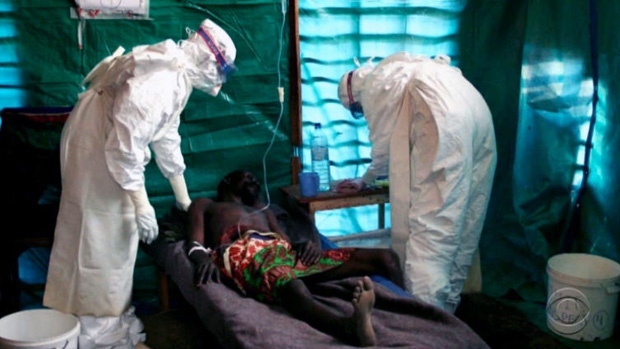 Seventy percent of the [infected] people are definitely dying from this disease and it is accelerating in almost all settings,” said Bruce Aylward, assistant director general of the World Health Organization. Aylward offered three numbers: 70, 70 and 60. To control Ebola, 70 percent of Ebola-victim burials must be conducted safely, 70 percent of those infected must be in treatment, and within 60 days. Ebola cases are doubling every three weeks in West Africa, and global health officials are watching closely the “reproduction number” of the virus. This number estimates the number of people, on average, who will contract the virus from each person already stricken. The current number is estimated to be 1.5 to two. In order for the epidemic to decline, the number must be below one. “Maybe we can bring [the reproduction number] from two to 1.2 or 1.3, which would indicate that the number of new cases will be dramatically reduced, and that will give you time,” commented Gerardo Chowell, a mathematical epidemiologist at Arizona State University, who worked on the current reproduction number estimate. “Even modest gains in lowering the number could give health officials and the military a better chance of controlling the epidemic,” considered Chowell. To date, over 4,000 people have died in West Africa out of 8,000 reported cases. The current assumption regarding the numbers is that they are significantly underreported, and that for every four known cases, six more go unreported.